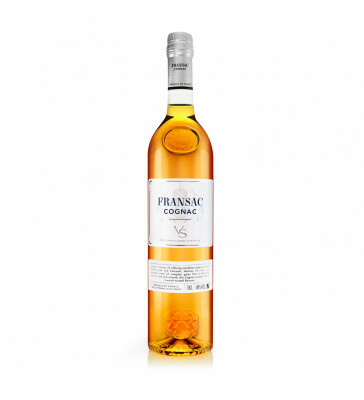 VS Fransac Cognac - New Edition. 70 cl. A VS cognac born from a blend of eaux-de-vie aged for almost 3 years in oak barrels. 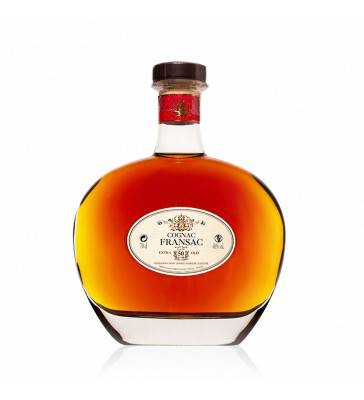 Legacy VSOP Fransac Cognac. 70 cl. A cognac V.S.O.P. Heritage, born from a blend of eaux-de-vie aged in oak barrels. 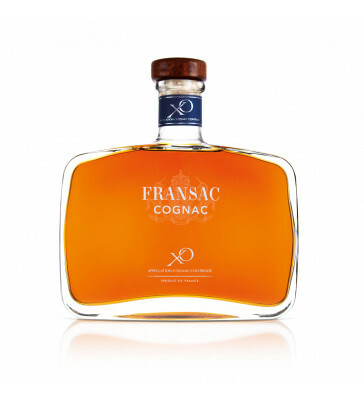 XO Fransac Cognac, 70 cl. A lively and powerful cognac made from a unique blend of brandy eaux-de-vie, the youngest of which is at least 10 years old. A particularly floral, lively and complex Cognac, resulting from the marriage of eaux-de-vie from the finest wines of the cognac appellation. 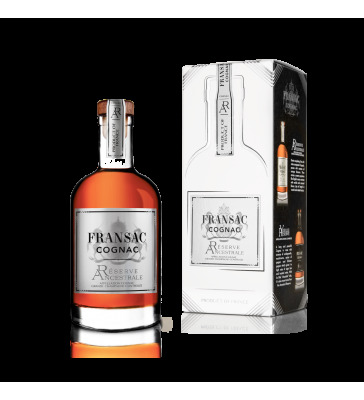 Ancestral Reserve Fransac Cognac, 70 cl. A unique Cognac with beautiful gourmet and floral notes, born from a blend of our finest eaux-de-vie. An XO cognac made from the finest terroirs in cognac: the Grande and Petite Champagne, the Bois Fins and the Bons Bois. 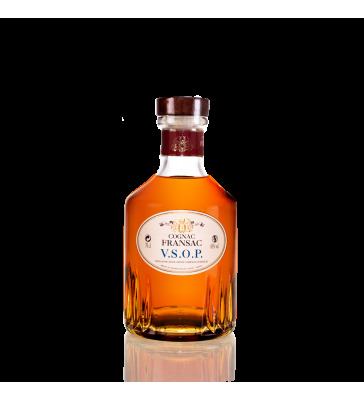 COGNAC FRANSAC VSOP "Grande Champagne"
"Grande Champagne" VSOP Fransac Cognac, 70 cl. A Grande Champagne V.S.O.P. Cognac, born from a blend of eaux-de-vie exclusively from the Grande Champagne terroir and aged in oak barrels. 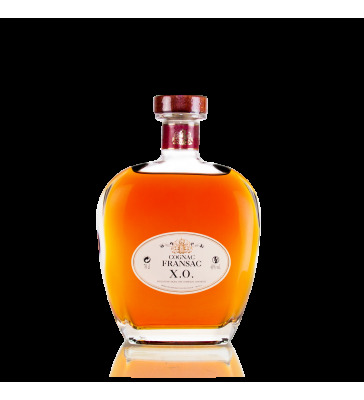 Fine Champagne XO Fransac Cognac. 70 cl. An XO-quality cognac made only from the best brandies from "Grande" and "Petite" Champagne. 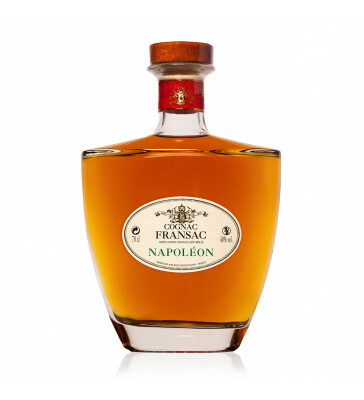 Napoleon XO Fransac Cognac, 70 cl. A Napoléon XO Cognac, born from a blend of aged eaux-de-vie from three excellent wines. 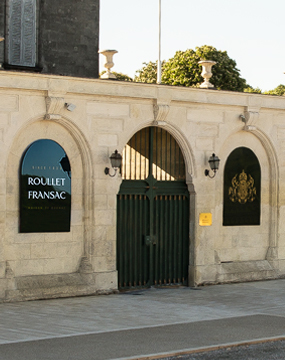 Ancestral Reserve Fransac Cognac. 70 cl. Cognac of great complexity, the fruit of a refined marriage of eaux-de-vie from the prestigious "Grande Champagne" vintage and aged for more than 25 years. 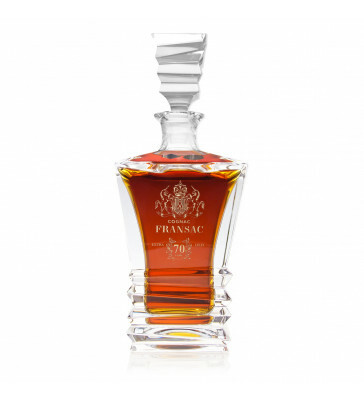 Very old "Grande Champagne" Fransac Cognac, 70 cl. A soft and round at the same time, this cognac is exclusively from "Grande Champagne". 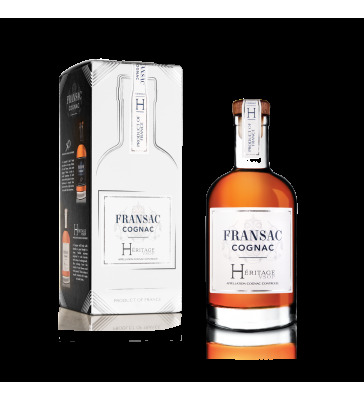 Hors d'Age Fransac Cognac,70 cl. Our age-old cognac comes from a beautiful and rich alliance between our best reserves from the "Fins Bois", "Bon Bois" and "Petite Champagne" vintages. 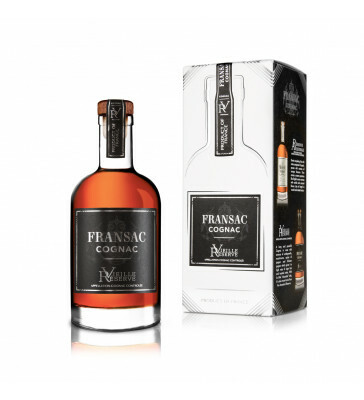 Cognac Fransac VSOP Inheritance. 20 or 35 cl. A Legacy V.S.O.P. cognac, born from a blend of eaux-de-vie aged in oak barrels. 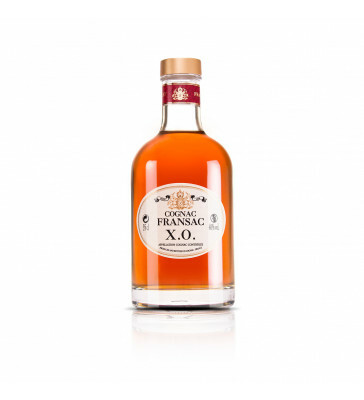 XO Fransac Cognac 20 or 35 cl. A bright and powerful cognac made from a unique blend of cognac eaux-de-vie, the youngest of which is at least 10 years old . Cognac Fransac Old Reserve 20 cl or 35 cl. 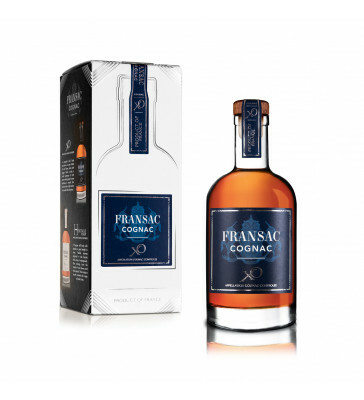 Cognac Fransac Ancestral Reserve. 20 or 35 cl. A unique Cognac with beautiful gourmet and floral notes, born from an assemblage of our finest eaux-de-vie. 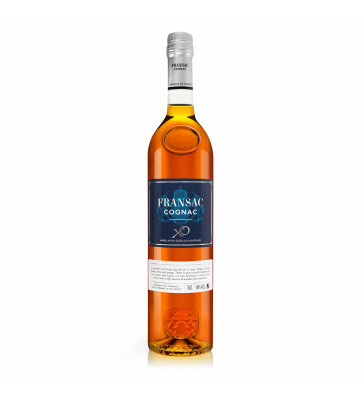 An XO-quality cognac made of only the best brandies from "Grande" and "Petite Champagne". Very old Grande Champagne Fransac Cognac, 20 or 35 cl. A soft and round cognac exclusively from the Grande Champagne.